Welcome to blue feather quilt studio. 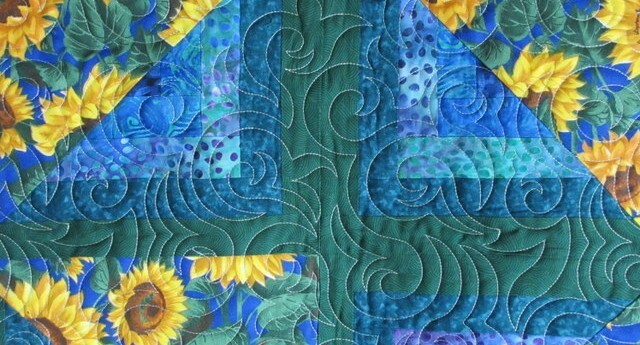 My name is Marjorie Busby and I have been a quilter for at least 40 years–or the better part of my life. I live in Carrboro, NC with my husband, Ted, and am the Mom to two wonderful daughters and their husbands and grandmother to their six children. I started sewing as a child and won my first sewing machine at the 4-H Dress Revue by stitching a lined wool skirt and knitting a matching cardigan. 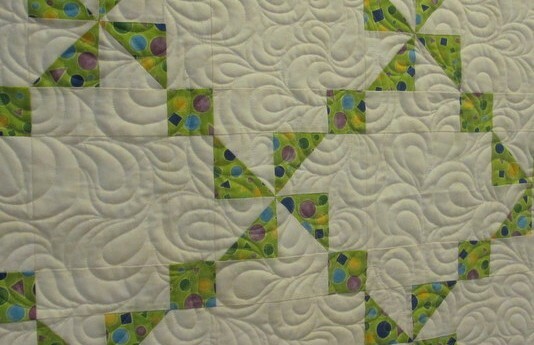 When my children were born, I took up quilting and did a lot of hand quilting. I also joined the craft cooperative, Womancraft, and began to sell some of the quilts I made.